Jimmy540i.com ~ Where Speed & Passion come together. 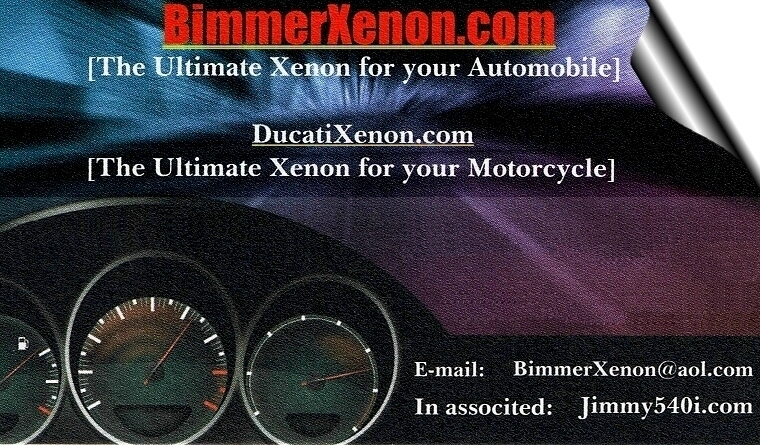 ALL PHOTOS, TEXTS, VIDEOS & FORMS ARE THE PROPERTY OF JIMMY540I.COM & BIMMERXENON.COM (FORMERLY BMWXENON.COM). ANY REUSE OR REPRODUCTION WITHOUT A WRITTEN CONSENT IS AN INFRINGEMENT OF COPYRIGHT LAW AND IS LEGALLY ACTIONABLE.